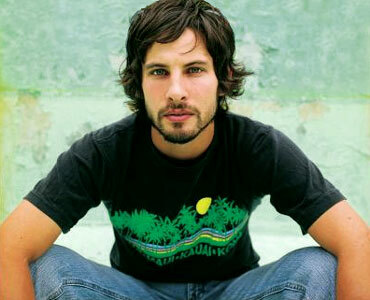 Sam Roberts Biography, Discography, Music News on 100 XR - The Net's #1 Rock Station!!! 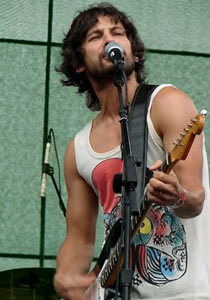 Sam Roberts is a singer, multi-instrumentalist & songwriter who was born on October 2, 1974, in Montreal, Quebec CANADA. At the tender age of four, he fell in love with the violin and took lessons until he was twenty, Roberts started to play guitar when he was 10-year-old. 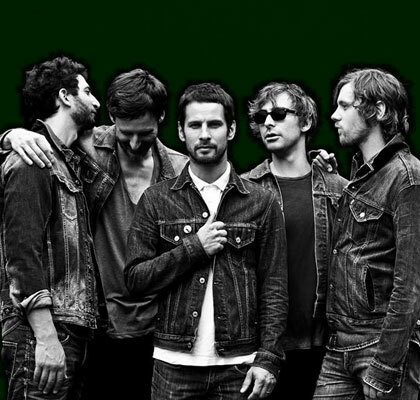 After an unlucky experience in Los Angeles with a band originally known as William who later changed its name to Northstar, but was never able to form a national audience, Sam Roberts moved back to his hometown to focus on his solo career. In 2001, he wrote tuneful Folk-Rock and power-Pop tunes, many of them built around a percussively strummed acoustic guitar and recorded an independent 6-track EP, "The Inhuman Condition", which went gold in Canada. Shortly after gaining some recognition the Montreal rocker signed with Universal Music Group and in May 2003, adding ten tracks to three carryovers from his debut EP, Roberts issued his first album on a major label, "We Were Born In A Flame", which included the excellent first single, the Canadian top 30 smash "Where Have All The Good People Gone" and the minor hit "Hard Road". The full-length disc rose to the #2 spot on the Top Canadian Albums chart and gathered a remarkable two Juno Awards for Album Of The Year and Rock Album Of The Year while Sam Roberts picked up Artist Of The Year. For his sophomore album, "Chemical City", he admitted to gleaning inspiration from records of the late '60s and early '70s; the disc was released in April of 2006 in Canada and quickly ascended into the top 3. By May 2006 the album was released in the United States as well. It sported two singles "The Gate" and "Bridge To Nowhere". Sam Roberts returned with his third album, "Love At The End Of The World", in May 2008. The set, which featured 13 tracks including the Canadian Top 40 hit single "Them Kids", became the artist's first #1 album in his homeland. Three years later was released "Collider", this album was billed as Sam Roberts Band. The outfit featured Roberts, lead guitarist Dave Nugent, keyboardist Eric Fares, bassist James Hall and drummer Josh Trager. "Collider" peaked at #3 on the Top Canadian Albums list spawning the Rock radio hit "I Feel You". Working for the first time with producer Youth -- AKA Martin Glover -- Roberts and co. delivered their next album, "Lo-Fantasy", in February 2014. The first single, "We're All In This Together", hit #1 on Canada's Active Rock radio chart.